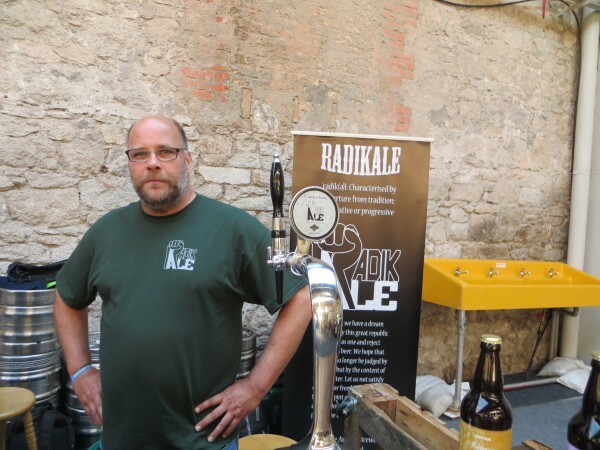 I featured the delicious Belgian-style Radikale Rubenesque last September, and gave a brief mention of the Radikale Curious Ale, a beer that had been made in collaboration with Blackwater Distillery in Cappoquin. When I say collaboration, they added the botanicals used for the very tasty No.5 gin instead of flavouring hops. “I really the liked the Blackwater gin”, says Alain Dekoster, the Belgian behind Radikale, “and just wondered what would happen if I used the botanicals to make beer. We didn’t know what to expect, but it really exceeded my expectations.” Customers liked it too; it was voted fourth best beer by Beoir members in 2015. The name of the beer has now changed, due to legal threats from a UK beer company, to Radical Brew. This is a rye beer, giving it a nice spiciness. You certainly get the juniper, plus a few other herbs, but the main flavour is hops. When I tried it at the RDS last year, I wasn’t that gone on it, but I really enjoyed sipping this one evening last week. Dekoster hopes to finish his new brewery later this year, and have a few new beers ready for the RDS beer festival.